Jessie knows a thing or two about self-care. She loves nothing more than relaxing in front of the TV at the end of a long day of guarding the house, with a bowl of soup and a documentary about bird-chasing. Jessie getting a change to relax, photo by Bianca Sala. She’s the queen of taking a break and looking after her mental health, and not just her own. Research has shown that owning a pet has many positive effects on our mental and physical health. Dogs encourage their humans to exercise outdoors regularly and meet other dog owners, which could help with symptoms of depression and loneliness. Simply stroking a cat while telling them all about our PhD worries can make them seem a bit more manageable. Jessie-Bear knows that, and she even offers to help with my PhD by... well… deleting entire paragraphs of my work! Jessie reviewing and editing some of my PhD work. Photo by Bianca Sala. Of course, not all of us can look after a pet or are even allowed one. I know I’m not. Jessie-bear lives with my parents, which is gives me another reason to visit as often as I can (mum’s baking also helps, to be honest). Jessie also knows this, and she’s got a few tips to help you get some of the benefits of hanging around fluffy four-legged friends without breaking the “no pets allowed” clause on your flat contract. Keep an eye out for events organised on campus. Dog petting around exam time? Go along! The SRC usually organise some petting hours/ days in the run-up to the exam sessions, so it’s best to keep an eye on their website if you’d like to go. Go on a walk. You can come along to one of our PGR lunchtime walks, either on the Gilmorehill campus (every Tuesday at 12:30, meeting outside the Gilchrist postgraduate club) or at Garscube (every Friday at 12:30, meeting at the McCall building). There’s even at otter at Garscube! UofG Sport also organises daily miles which they advertise on their Twitter account at @glasgowunisport, where you can find out what times they start and where to meet. If these options don’t work for you, the Botanic Gardens are close to our Gilmorehill campus and there’s usually dog walkers around. Plus, there’s a lot of friendly squirrels around. Jessie, on one of her summertime walks through the garden. Photo taken by Bianca's dad. Do your friends of neighbours have any pets? Offer to look after their cats for an evening, or walk their dogs. They’ll appreciate it, and you get to make a new best friend. 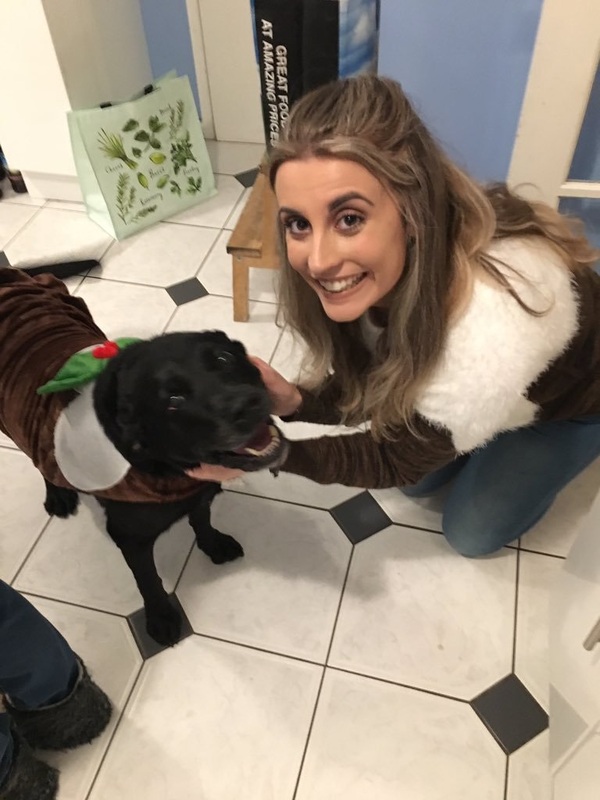 You could also consider joining Borrow my Doggy, which aims to connect dog owners with “dog borrowers” who love looking after dogs, to share in the care of the four legged friend. It’s an amazing way to meet a lot of absolutely brilliant dogs and their humans. 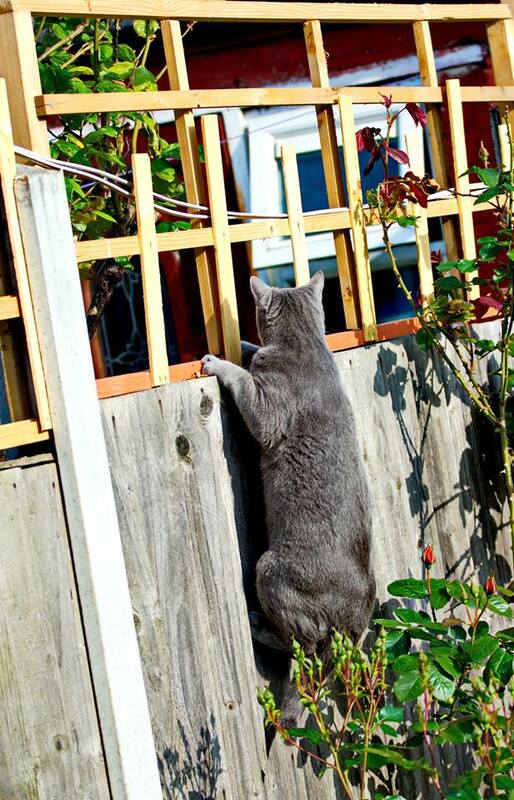 Jessie, checking if the neighbours have any pets she could hang out with. Photo by Bianca's dad. Maybe there’s a reason cat videos are so popular. Looking at adorable balls of fluff can help us relax for a bit, as long as cat videos don’t fully replace data analysis work. Jessie's best friend, Sir Puffington, also a master at relaxing. Photo by Bianca Sala. Finally, we’ve asked you to show us photos of your four-legged buddies by tagging them on Twitter with #PGRpets, and we loved every single one of them! Here is Lightning, who likes to help her human Julie by cuddling during working-at-computer times. Photo courtesy to Julie Holder at @Julieh80. This shy furbaby is hiding their face in those cute little paws, after helping the people who help PGR students at UofG. Photo courtesy to our very own UofG PGR service at @UofGPGRGuru. This amazing girl doesn’t just help her human through her PhD, but also follows all the latest fashion trends and looks absolutely lovely doing so. Look at those matching jumpers and wide smiles! Photo courtesy of Kirsty McWhinnie at @kcmcwhinnie. What about you? Do you have a pet waiting for you at home at the end of a long PGR day? Leave us a comment and keep tweeting us your photos using #PGRpets, we love seeing them!